I grew up less then a 1/2 hour from the hermits camp and I am quite familiar with the woods. 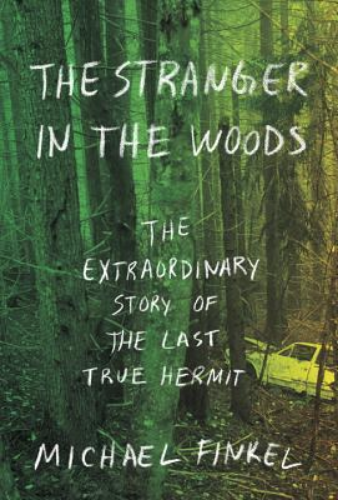 The book is a good read about the hermit and details his story very well. It is well written and kept my interest. The book also details how he was able to get the story by writing to Knight in prison and going to visit him in jail. 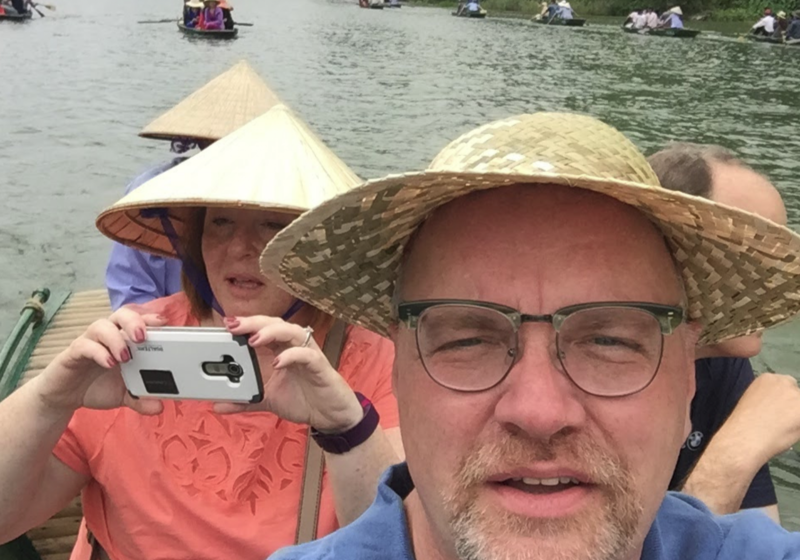 Also Finkel went to the campsite and surrounding woods and gives a good description of what it was like while he was there for over 25 years. 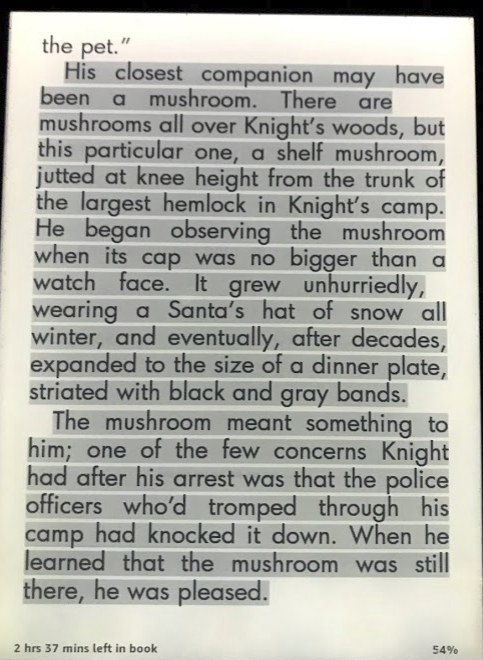 Knight did not have a pet in the woods but the closest to it was a mushroom.. The Hermit grew up very close to where it did around the same time. 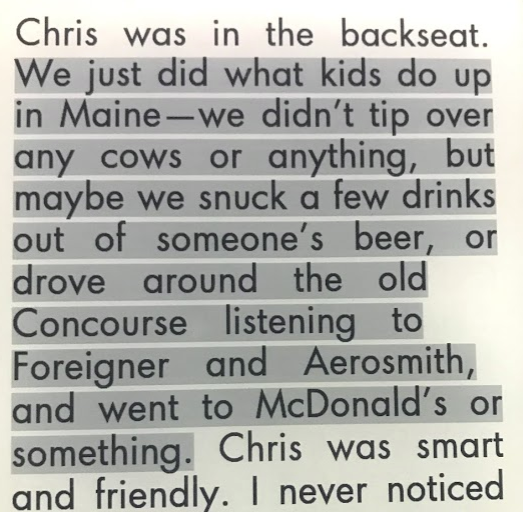 This description of riding around seemed very farmiliar to kids in semi-rural Maine. 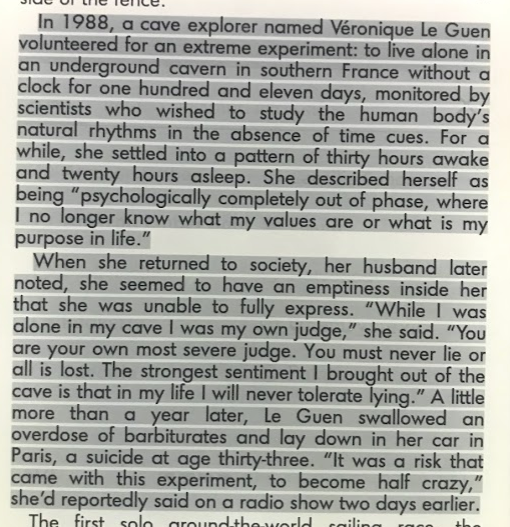 Lastly this info about isolation and how it effects on people really shocked me.